​ALL SALES FINAL NO REFUNDS!!! ﻿The Grisly Pear Comedy Club, is located @the Grisly Pear Bar on 107 Macdougal St. in the heart of NYC's West Village. 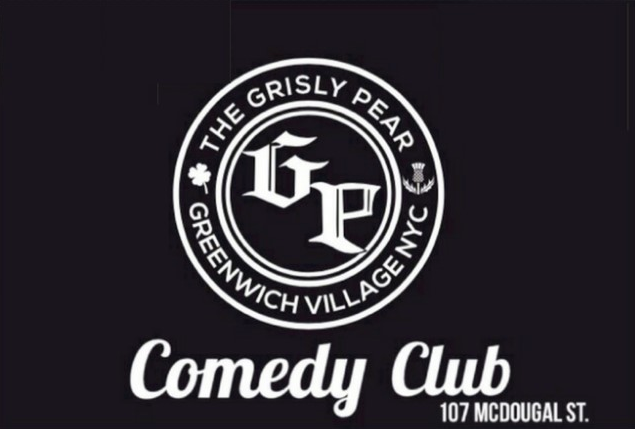 The club is open on Saturday nights from 8pm to 10pm and features some of the best comedians in NYC. Past performers have been seen on: Letterman, MTV, BET, and Comedy Central. Tickets are $20.00 at the door. For questions regarding the show or to make reservations please fill out the form below. We look forward to seeing you!!! THIS SITE SELLS TICKETS FOR THE SATURDAY SHOW ONLY 8pm-10pm ALL SALES FINAL NO REFUNDS!! !